In today’s market, as home prices rise and a lack of inventory continues, some homeowners may consider trying to sell their homes on their own, known in the industry as a For Sale by Owner (FSBO). Selling your home on your own as a FSBO might seem like a good way to “save” money, but at the end of the day it might cost you more than using a professional to help you sell. With 95% of buyers searching online for their new homes it’s critical to have an internet marketing strategy for a home. The right real estate agent will have an Internet strategy to promote your home. Do/can you have a broad-based internet marketing strategy to expose your home to the widest possible audience? Furthermore, do you have the resources and/or experience to stage your home, retain professional photographers, write marketing copy, publish marketing material, etc. to engage the interest of prospective buyers? The days of selling your house by putting out a lawn sign or putting an ad in the paper are long gone. Having a strong internet marketing strategy is crucial to selling a home quickly and at top dollar. The paperwork involved in selling a home has increased dramatically as industry disclosures and regulations have become mandatory. Potential liabilities for a home seller have increased hugely. 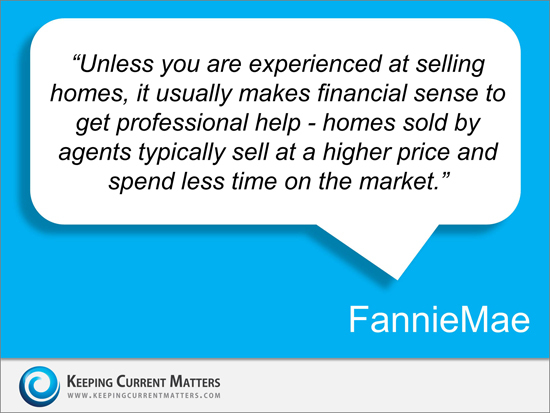 This is one of the primary reasons that the percentage of home sellers who FSBO has dropped from 19% to 7% over the last 20+ years. Do you even know all the disclosure and contract forms that are required and how to properly prepare them? There are over 230 possible steps that need to happen during the course of every successful real estate transaction. 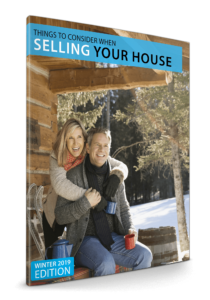 Don’t you want someone who has been there before, someone who knows what these steps and actions are, someone who can guide you through all the steps to ensure you don’t make a mis-step that can derail the sale of your home? Many homeowners believe that they can save on the real estate commission by selling on their own, but they don’t realize that the main reason buyers look at a FSBO home is because they also believe that they can save on the real estate agent’s commission. The seller and buyer can’t both save the commission. The study showed that the difference in price between comparable homes of size and location is currently at an average of 6% this year. And, while it may seem counter-intuitive, studies have shown that homes typically sell for more money when handled by a real estate professional. Why choose to list on your own and manage the entire transaction when you can hire an agent and not have to pay anything more? 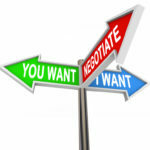 Having a skilled and experienced negotiator on your side could save you thousands, perhaps tens of thousands of dollars. Each step of the way – from the original offer, to the possible renegotiation of that offer after a home inspection, to the possible cancellation of the deal based on a troubled appraisal – you need someone who can keep the deal together until it closes. 7. What Is The Home You’re Selling Worth In Today’s Market? An experienced real estate agent should be your primary resource to competitively and correctly price your home at the beginning of the selling process? Hiring an agent who has his or her finger on the pulse of the local market will enhance your selling experience and ensure a higher sale price. And, you need someone who is going to tell you the truth, not just what they think you want to hear. Have you considered how to keep your home and family safe when showing it to strangers? How would you vet prospective buyers when they call for an appointment. Keep in mind that when you agree to show your home as a FSBO, you are letting strangers into your home. How safe are you? Are those strangers “real” buyers or simply “casing” your home? With an agent you have the comfort of knowing that buyers who come to see your home have been vetted not just for safety, but also for their financial ability to purchase a home. Today’s real estate market is highly competitive and highly complex. Selling a home is not something you want to do as a “do-it-yourself” project. Working with a real estate professional to guide you through the process is a simple (and cost-effective!) – step that will give you a huge advantage! To receive your FREE copy of our Winter 2019 Home Seller Guide: “Things To Consider When Selling Your House,” click here or on the image below. You may be wondering if prices are projected to rise or fall…or how much competition you may be facing in your market. Our FREE Seller Guide will answer many of your questions and probably also bring up a few things you haven’t even thought about yet. 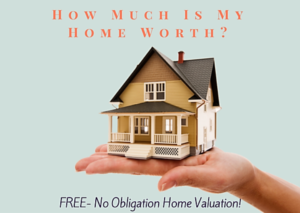 What Is Your Charlotte Area Home Worth? 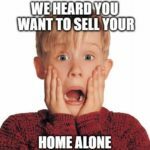 If you’re thinking about selling your Southwest Charlotte area home, let’s get together and discuss the supply conditions in your neighborhood and how we can assist you in gaining access to buyers who area ready, willing, and able to buy now. Nina Hollander and Carolinas Realty Partners with Coldwell Banker Residential Brokerage, are your Charlotte metro area residential real estate experts. We’ve been opening doors for home sellers in the Charlotte region for over 20 years. It might be tempting to try to sell your home as a For Sale By Owner because you think you'll net more money from the sale. But here are 8 reasons not to be a For Sale By Owner and one of them is that you'll actually net more money by working with a real estate professional. Today’s real estate market is highly competitive and highly complex. Selling a home is not something you want to do as a "do-it-yourself" project. Working with a real estate professional to guide you through the process is a simple (and cost-effective!) step that will give you a huge advantage!